Subtract the net worth (assets less debts) that a spouse owned on date of marriage. The result of this mathematical exercise equals a spouse’s net family property (NFP). Net Family Property essentially refers to the increase in net worth that a spouse has obtained during the marriage. The spouse with the highest net family property pays the other one-half the difference between the net family properties. For example, if the husband’s net family property was $100,000.00 and the wife’s was $50,000.00 the husband would owe the wife $25,000.00 as an equalization payment (one-half of the $50,000.00 difference in their NFPs). Property refers to a variety of assets that a spouse has an interest in such as real estate, vehicles, bank accounts, investments, RRSPs, TFSAs, pensions, business interests, boats, etc. Whether or not a spouse is entitled to a variation of the share of net family property (i.e., an amount more or less than one-half the difference between the net family properties). The lawyers at Chapman McAlpine Law can help you understand and protect your rights and obligations regarding equalization. We can help you ensure that you have all of the disclosure you are entitled to from your spouse as well as ensure that you have provided full and proper financial disclosure to your spouse. We will analyze that disclosure for you and provide you with an opinion on your rights and obligations regarding equalization and help you resolve the issue with your spouse. Contact us today for honest and affordable advice and representation for any issue associated with equalization. A spouse who has contributed significantly to an asset (through money or labour, etc.) owned by the other spouse may have a constructive trust/unjust enrichment claim (i.e., a constructive trust gives the beneficiary an interest in a particular asset, but not necessarily a 50% interest, or a court can award a monetary remedy for unjust enrichment). This is a very complex and fact specific area of law and it is important to hire a lawyer from the outset of such a claim to advise you on your range of outcomes and to protect your rights. 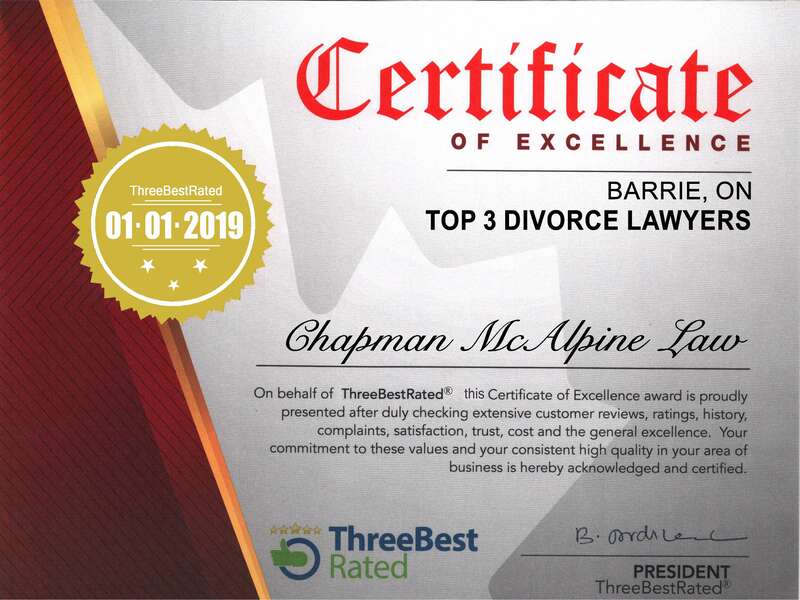 The lawyers at Chapman McAlpine Law can help you navigate through this difficult area of law and provide you with reasonable options for resolution based on your specific set of facts.